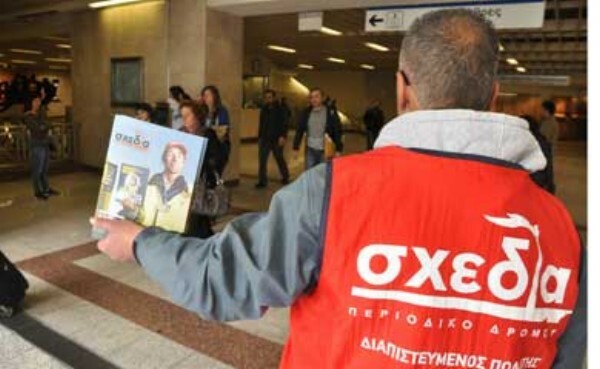 A new initiative by local street magazine Schedia (Life Raft) aims to heighten awareness about homelessness and increase the integration of those sleeping on the street by having homeless citizens leading tours of Athens. Following the example of similar magazines in other European countries, Schedia’s “Unseen Routes” tours will include stops at the capital’s soup kitchens, hostels and day centres. The tour guides, current and former homeless people, will provide participants with details about the facilities as well as insights into their own experience on the streets. The cost of participation in a tour will be 6 euros with a reduced fee of 3 euros for students and no charge for unemployed citizens and pensioners.